Margaret Beaufort has often been portrayed as a joyless, scheming, witch of a woman in history and literature. A woman eaten up with one ambition – to set her son on the throne of England. When I read The White Queen, told from the perspective of the York Queen, Elizabeth Woodville, I sympathised with the rise and fall of her fortunes as her husband, King Edward, fought and lost the throne, only to die young and have his younger brother, Richard, seize the throne. There were so many twists and turns you couldn’t hope for a more intriguing plot. They certainly knew how to scheme in those days. In The Red Queen, Philippa Gregory makes the reader see the War of the Roses from the Lancaster view point. She paints a portrait of Margaret as a pious child, more suited to a nunnery than marriage. Margaret was married off at the age of 12 to Edmund Tudor and was then a widow and mother by the age of 13. She then had to leave her child with his uncle in Wales as she entered into another arranged marriage. She never forgot her child and his claim to the throne. And for decades, as her fortunes rose and fell with those of the House of Lancaster, she tirelessly plotted to forward her son’s cause. I will not give away any more – although all you history buffs will know how the story goes. I thought it was interesting to hear this side of the story. I’ve read so many literary works on this period of history, most told from the York perspective. I still think Sharon Kay Penman’s The Sunne in Splendour was the best of the lot. But Philippa’s series is certainly up there. 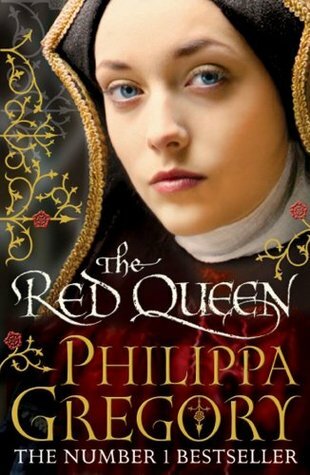 What I like about Philippa Gregory books is that they give women their rightful place in history. Yes, it was a man’s world back then but women were also central to the politics of the day. They may not have ridden off to war like Joan of Arc, but they plotted and schemed and did what they had to do to further their families’ fortunes and protect their children. If you like historical fiction, definitely give this one a read. Next Article The new J.K. Rowling book – what are your plans? I read this book. I truly love a historical novel, especially Philippa Gregory. I haven’t read this one by Gregory. My two favorite ones are The Other Boleyn Girl and the Queen’s Fool. How do you think this book fares compared to those two? I think it is pretty good. Maybe read The White Queen first and then this one. I haven’t read the War of the Roses books- but now I’m intrigued!